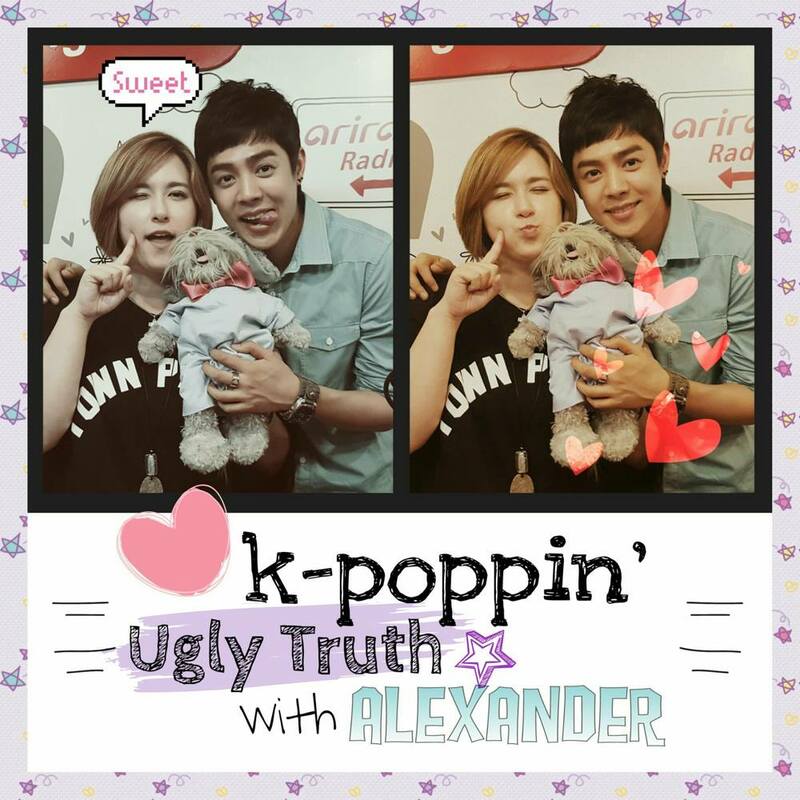 Welcome Alexander to Ugly Truth! The former K-Pop star made his grand return in South Korea on Arirang Radio‘s K-Poppin’ this past week. He joined the show’s popular host Isak during the second hour of her Friday afternoon program. It was so heartwarming to see the two work together again after his band worked with her a few years ago at Arirang. He did well his first day on the job. My favorite Xander quote had to be his comment “So romantic” when she said it would be the just the two of them working together (because the second guest was absent). Xander parted ways with his boy group U-KISS in 2011. Since then, he has solidified his career as an actor and solo singer in Korea and abroad. Catch Xander every Friday at 1PM KST on Arirang Radio’s Kpoppin’. This entry was posted in Entertainment, Music, News, Uncategorized and tagged Alexander Eusebio, Arirang Radio, Kpoppin. Bookmark the permalink.